What are the conditions to become company partner with IFGICT? Your company’s services / products should be in alignment with our policy, you products must respect environment and should not bring any hazard to environment, and also your company must be in business technology or ICT sector, so you can promote our IFGICT among your clients. I am a company and would like to become partner, is there any fees or payment and what are the documents needed? 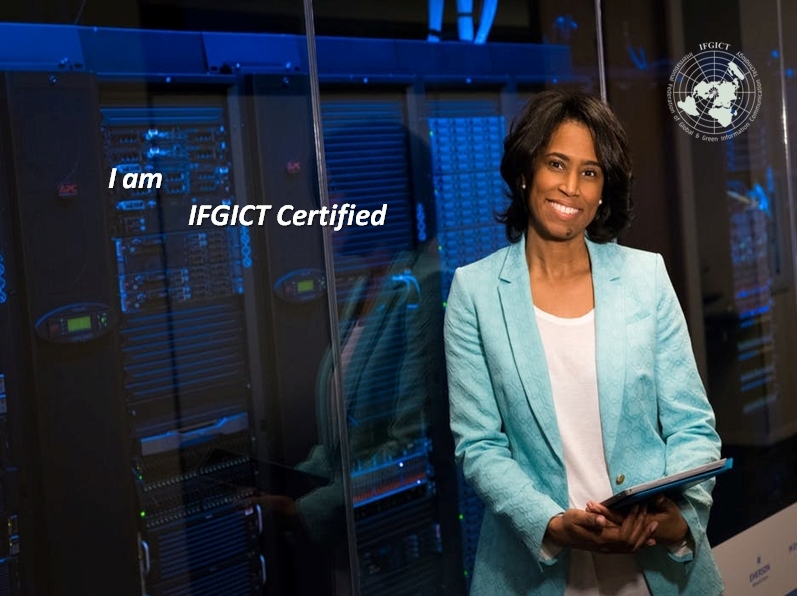 For companies in ICT sectors or other business technology sectors, joining IFGICT is FREE of Charge, there is not certain documents needed as long as your company is legally operated in your country and have a valid website. Can I use IFGICT logo in our company’s website as partner? Sure, all partners are using our logo in their website and official printing documents if needed. I would like to become VTP partner; are there any rules I have to consider? Is there any fee? VTP is Verified Training Partner, if your company in training or part of its activities in training ICT / business technology / FinTech …etc, then your company is eligible to become VTP, you will need to submit your company’s information using contact us form and our customer service will be asking you to submit some references (Min. two Ref. letters) as approval you already conducted training in any business / ICT topics to customers. Our customer service will be reviewing your application and reply with approval within few days. Annual fee is 100$ USD only. How I can demonstrate to our clients that my company is approved VTP partner. We usually provide to VTP and company’s partners a verified ID with online verification, your clients can easily access our website and verify your given ID online. What courses you can verify / accredit? We are open to all ICT / business technology / Fintech courses or titles, the most important you need to consider, we DO NOT VALIDATE or RECOGNIZE professional certifications accredited and granted from international companies or organizations ( eg. PMI / CISCO / Microsoft / IBM…etc) . What is the cost of VTP certificate? We charge only 20$ USD / certificate / candidate. Who is going to fund the advertising campaign? We are not for profit organization, therefore we do not fund any campaign. Officers will need to communicate with local enterprises and universities to host and manage events. We do recommend officers to join conferences and events already in the ICT industry and participate within the events instead of running their own events for IFGICT only. We have had success in approaching IEEE (Institute of Electrical & Electronics Engineers) conferences. Contact IEEE members in your region and they may welcome our ICT approach. Can I give a training courses online? As long as you are Green IT Professional Certified, you are free to conduct on campus or online courses. We rely on volunteers, who already have their full time work world wide, some members dedicate hour per week, others dedicated more, it is completely up to you. 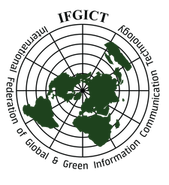 The success of IFGICT is attributed to volunteer effort. As a not-for-profit organization we solely rely on the volunteering efforts of our officers and volunteers. What is the next road map and plan after the selection ? What are the sources of revenue for IFGICT? Our federation was funded by group of private companies in the start-up phase. Now we are operating financially under the income of members’ registrations for certifications. What are the benefits of being an ICO? I believe it’s a volunteer position but we have the business module? The 100$ is your business model for each professional certificate (Green IT and Strategic IT Professional) this will cover your expenses like phone calls, mileage and logistics…etc. Being ICO means you are top qualified by our federation as officer in your country or region. You can earn more if you are ICO and certified, then you will be able to conduct training to candidates and charge them direct without any business model with our federation. You can start your campaign by building relationships with local schools and universities much easier and with no expenses, rather than you communicate with each individual, the university or school will help you to communicate with candidates and manage your events or seminars to gather all candidates, which would make your voice reachable to all candidates with efforts saving. Why we need to pay you the Certificate fees to become certified while we’re volunteers with you, it doesn’t make sense? May I start create Linkedin page name “IFGICT [My country]” as a 1st step to be ICO? If you are selected as approved ICO for your region, sure you can, you will need to have facebook and twitter page too. How I can officially become Country Officer of my country? You will need to invite at least 5 SME companies in ICT or Business technology sectors to join us as company partner (Joining IFGICT is FREE of Charge for individuals and companies but not limited to VTP) , the companies could be startups or any age , with active website and good reputation, upon the success of this task, you will be given a Certificate of Country Officer in addition to official email @IFGICT and ID with official recommendation letter for your official use in your country as Country Officer.